I appreciate that you want to set your email apart from all the other online stores offering a 50% off summer shopping opportunity. And certainly the offer of FREE SHIPPING is inviting but the items you highlight are not in any way "iconic". They may be "favorites" - only you and your shareholders can judge how successful a particular item is. By the way, I will be interested to find out how many examples of the zebra rug in rust/ivory color way are sold because nothing says iconic more than Rusty Zebra. They surely are expensive - that rattan cube will set bargain-hunters back up to $1300 - but iconic they are not. A braided wool rug is a braided wool rug - there's nothing special about this one, so maybe you were being ironic when you wrote the copy? " 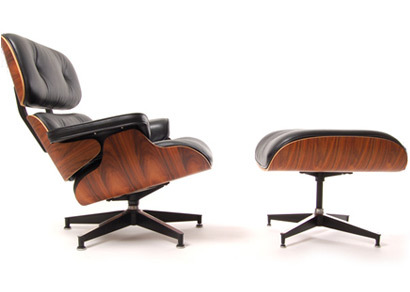 The Eames Lounge and Ottoman; unique, iconic - a cultural symbol identifiable to millions.